Another picture from our adventure to Jurassic Forest. 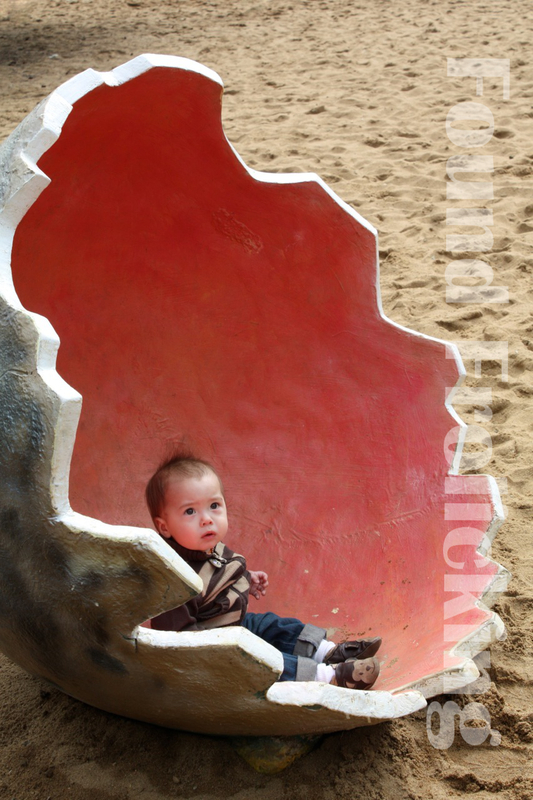 Sitting inside a giant dinosaur eggshell. Obviously worried I'm leaving him! 48 weeks.